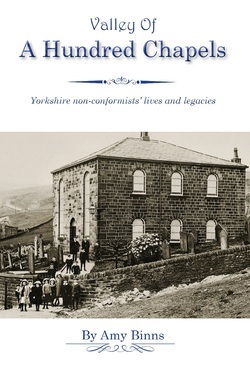 Valley of a Hundred Chapels tells the story of the non-conformists of the Upper Calder Valley, Yorkshire. Here, dozens of congregations built over a hundred chapels over two centuries, creating communities with an independence of spirit that still thrives today. It is on sale in local bookshops, information centres and newsagents, and on Amazon. 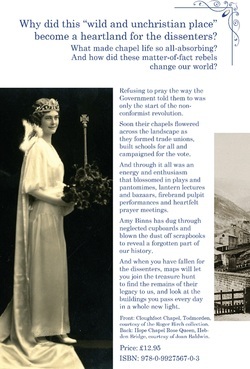 It can also be ordered direct from the author by sending a cheque for £12.95, made payable to Amy Binns, to 1 Cliffe Street, off Townfield Lane, Heptonstall, Hebden Bridge, HX7 7NL.